Great Use Of The Physio Ball. We published an article back in 2017, showcasing the talented Tel-Aviv based illustrator Yehuda Devir and his wife Maya Devir, loving relationship and how we could all relate to them. 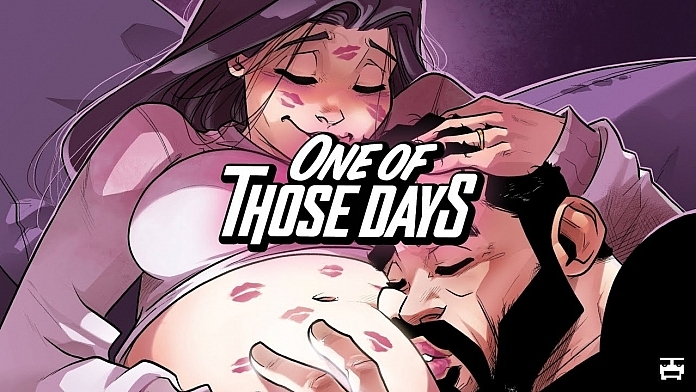 Now, that Maya is pregnant, Yehuda just had to share the good news to world in the form of comic illustrations titled "One Of Those Days and seriously, they are near perfect to what many couples actually go through. You can also watch behind the scenes of how Yehuda creates his artwork which is fast becoming recognised around the world.